Wondering what it will cost to get a US passport? 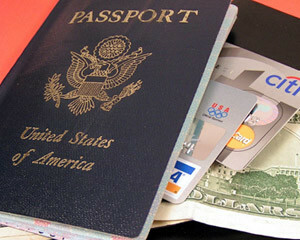 Fees for Passport Books and Passport Cards vary according to the service required, the processing speed, and whether the traveler is an adult or a child. Our US Passport Fee 2019 Guide will break down all the fees associated with passport service, and will explain all the components of the passport fee. These are the passport application fees you will be required to pay to the government. *Attention: Starting April 2, 2018 Passport Acceptance Agent fees increased from $25 to $35. This additional fee is charged if you request expedited service for your passport. Standard passport processing takes 6-8 weeks. You will need to pay the expedited passport fee of $60 in addition to the routine passport fee if you need your passport to be issued more quickly. The expedited passport fee applies to passports expedited by mail, at a Regional Passport Agency, or through a registered passport expediting company. This applies to all passport services. Expedited Service Fee – All passport applications processed by passport expediting companies are considered expedited by the US government.